NEW! 1 Year Warranty on GAXP® Heating Elements! 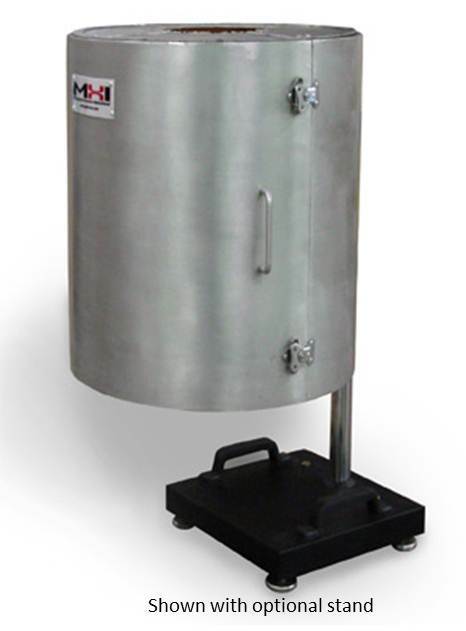  Chamber Size Maximum is 3″ Top/ Bottom Opening diameter x 8″ L. Please specify if diameter required is lower.  Processing tube and stand are not included.  Standard temperature controller programmable with 16 segments. MHI BPAN-O-Plus control panel with full furnace electronics. The control panel houses switch gears, fuses, and circuit breaker. Standard Controller: Programmable Temperature Controller for heating process. Featuring 1/16 DIN digital display of set point and process temperature, PID temperature control, and adaptive tuning. Eurotherm or equivalent over-temperature controller. Compatible with MHI-DACS Data Acquisition and other third-party data acquisition software. MHI ST9001 single phase SCR (or equivalent) with advanced current limit and soft start feature. Maximum power output is 6kW (@220Volts). Processing tube and stand are not included. Please contact MHI at 513-772-0404 or by email at sales@mhi-inc.com if you have any questions or need more information. Written price quote required from MHI.